Renault has chosen Geneva for the public appearances of new Mégane, new Espace and its Altica concept car (more) and the unveiling of the new Clio Renault Sport (more). There is also a world premiere at the show, with Renault revealing its new environment-friendly particulate filter technology featuring exhaust post-injection. Finally, following the launch of the benchmark 2.0 diesel powerplant, Renault introduces its new powerful, responsive and quiet 2.0 16V petrol engine. 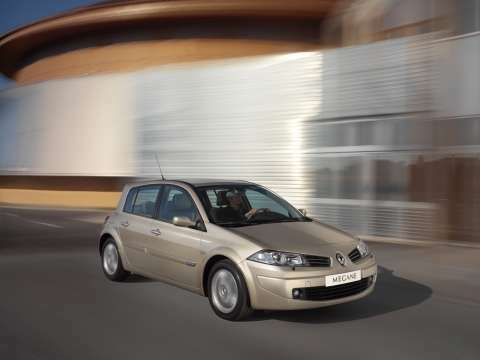 Renault continues the renewal of its range at the 2006 Geneva Motor Show with the public appearances of new Mégane and new Espace. Renault takes the wraps off new Clio Renault Sport, an outstanding car which puts the accent firmly on performance, passion and driving pleasure. Meanwhile, the Altica concept car stands out as a sporty estate which combines the practicality of the latter with the sports appeal of a coupé. In addition to these new cars, the Renault-Nissan Alliance's new 2.0 16V 101.5kW petrol engine and the 1.5 dCi 76kW diesel engine equipped with a patented innovation – the world's first self-regenerating particulate filter with exhaust post-injection – will both be on show for the very first time. The Renault F1 Team's new challenger, the R26, which will spearhead the defence of its Formula 1 Constructors' and Drivers' world titles, features on the stand and reasserts Renault's passion for motor sport. Available in a choice of five body types (Hatch, Sport Hatch, Sport Saloon, Sport Tourer and Coupé-Cabriolet, plus the high-performance Mégane Renault Sport version), all of which feature a distinctive, individual personality, new Mégane is more eye-catching than ever with a modern, tapered headlamp design, revised bumpers and grille, translucent rear lights and a choice of new wheel trims and wheels. New Mégane also comes in a selection of new colours – including optional integral paint – which match the refined, bright interior trims. For added comfort, new Mégane features a parking proximity sensor and a new-generation navigation system. In addition to its facelifted styling, new Mégane is powered by a revised range of engines – all Euro 4-compliant – for even more dynamism and driving pleasure. The principal changes concern the diesel powerplants. These now include the new benchmark 2.0 dCi 150hp engine which provides unprecedented driving sensations for this segment. Meanwhile, the 1.9 dCi engine now comes with a periodic-regeneration particulate filter. In addition to the six-speed manual gearbox, it can also be coupled to Renault’s flick-shift, four-speed Proactive automatic transmission. New Mégane is available too with the 1.5 dCi. The higher power variant boasts the best power/fuel consumption/CO2 emissions ratio of its class and is coupled for the first time to a six-speed manual gearbox. It is also available for the first time on the Coupé-Cabriolet. In addition to this selection of proven and new diesel powerplants, the range of petrol engines features the 1.4 16V, the 1.6 16V, the 2.0 16V and the 2.0 Turbo, plus the 225hp 2.0 16V Turbo which powers Mégane Renault Sport. With its aesthetic appeal, dynamic performance, excellence in perceived quality and travelling comfort, the new Espace goes further than it has ever done before. Softer styling, innovative cornering lights, the Carminat Navigation and Communication System and availability of the new 2.0 dCi engine are just some of the features poised to ensure that the leader of the top-of-the-range MPV segment maintains its edge. The new particulate filter-equipped 2.0 dCi diesel engine ensures that the new Espace benefits from exceptional performance for this level of engine size. A new six-speed automatic transmission is available for the new 3.0 dCi V6 diesel engine which boasts torque of 400Nm for even more flexibility and driving pleasure. Thanks to a choice of three petrol and four diesel powerplants, which can be coupled to five- or six-speed manual or Proactive automatic transmission, new Espace places the accent firmly on dynamic performance and driving pleasure. New Espace's exterior lines are softer, yet its personality is as distinctive as ever and points clearly to its high-end MPV standing. 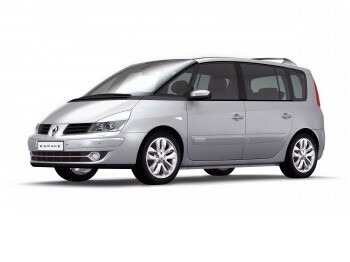 New Espace is also the first vehicle of its class to feature bi-Xenon cornering lights. Inside, the perceived quality and the sense of warmth and brightness it exudes make new Espace an even more pleasurable experience. New Espace is also available with the latest Carminat Navigation and Communication System which combines voice synthesis with a three-dimensional display. The system comes with a panoramic 7-inch screen built into the new dashboard design, Bluetooth technology for a hands-free telephone and a CD/MP3-compatible player. The automatically-attaching sliding rear seats can be taken out, moved and positioned with ease to make the most of new Espace's advanced modularity and perfectly flat floor according the needs of the moment. And for complete ease of mind when travelling as a family, new Espace's active and passive safety features make it once again the benchmark in its segment. The Geneva Motor Show sees Renault take the wraps off its new concept car, Altica, a sporty estate that combines flowing lines and a spacious interior. Its dynamic stance is underpinned by a long bonnet and curved forms, while its modular interior ensures outstanding load capacity. Altica stands out as a dynamic vision of the estate, combining the practicality of the latter, the sports appeal of a coupé and a high standard of travelling comfort. A world premiere at the Geneva Motor Show: Renault unveils its new environment-friendly particulate filter with exhaust post-injection. This innovative technology, which will be available during the first half of 2006 on the 85hp and 105hp versions of the 1.5 dCi diesel engine that powers Clio and Modus, permits self-regeneration of the particulate filter in all traffic situations, even when the car is at a standstill with the engine idling. An injector mounted directly in the exhaust pipe enables the regeneration process to operate continuously, making this ingenious system – which has been awarded numerous patents – particularly suited to urban traffic applications. With this advance, Renault is meeting the demands of its customers by making its range of clean, fuel-efficient, low-emission engines even more environment-friendly. Following the launch of its benchmark 2.0 diesel engine, Renault unveils a new powerful, responsive and quiet 2.0 petrol powerplant. This new engine (M4R) boasts remarkable driveability, delivering high power and torque from low engine revs, sustained response at high revs, and quiet running under all conditions. The new 101.5kW 2.0-litre 16-valve unit will soon be appearing in Clio, coupled with one of two transmissions – a new-generation, four-speed Proactive automatic transmission (DP0+) or a six-speed manual gearbox (TL4). Both of these powerful and responsive powertrains will maximize Clio’s inherent potential as a grand touring model. With this engine, Clio will set the standard in terms of driveability and acoustics in the B segment. Both the engine and the six-speed manual gearbox were co-developed under the Renault-Nissan Alliance. Renault has one of the safest ranges on the market and eight of its models have been awarded the maximum five-star crash test rating by the independent Euro NCAP organisation. Renault continues to innovate on the safety front, with an energy-absorbing seat/headrestraint package, a new seating concept for children aged between 6 and 10 sitting in the central rear seat on Clio and pretensioners for the two outer rear seats. Renault launches its sixth “Safety for All” programme aimed at youngsters. Based on a fun but educational approach to road safety, this programme offers a number of different themes according to age, with the "Kids on the Road” and “Express Yourself!” projects for primary and secondary schools respectively as well as national campaigns aimed at young drivers. Run in 19 countries, this programme has reached out to 7 million youngsters since its launch in 2000. After winning both the Constructors' and Drivers' Formula 1 World Championships in 2005, Renault is ahead of its game plan. With the competitive new R26, the new RS26 V8 engine and a lineup of quick, reliable drivers, the Renault F1 Team has numerous trump cards in its possession as it begins the defence of both titles in 2006.